Knowing books are much better than films. Knowing that I will always wonder what everyone was on about when they made their oh and ah comments, with the Twilight this and Twilight that. I’m nearly finished with the first book and I am glad to report that it is an enjoyable read. I will read the other three books but I won’t buy the t-shirt or start (yet another) fan-blog. I will however report that I had a dream this morning – I dreamt I was being hunted by vampires! It was a pretty intense dream, similar to playing a computer game where you need to focus really hard because you are winning. The kind where one irrational action could mean GAME OVER. So much so that Kobus battled to wake me up! 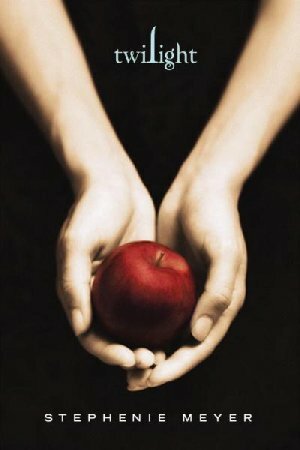 What are your thought regarding the Twilight Saga? Have you read them? It is worth reading the other three books? This entry was posted in Books, Films, Art and TV and tagged books, dreams, Films, Twilight by letticefamily. Bookmark the permalink. I feel much the same as you – lekker reads, but not the best ever. Have read the first 3, still need to read Breaking Dawn. I love reading! And it’s great when the books you’ve read get made into films (though most of the time they are a great representation of the book). I’ve read all 4 books after my fiancé urged me to do so and they were wonderful! You should definitely read them before you see the movies.